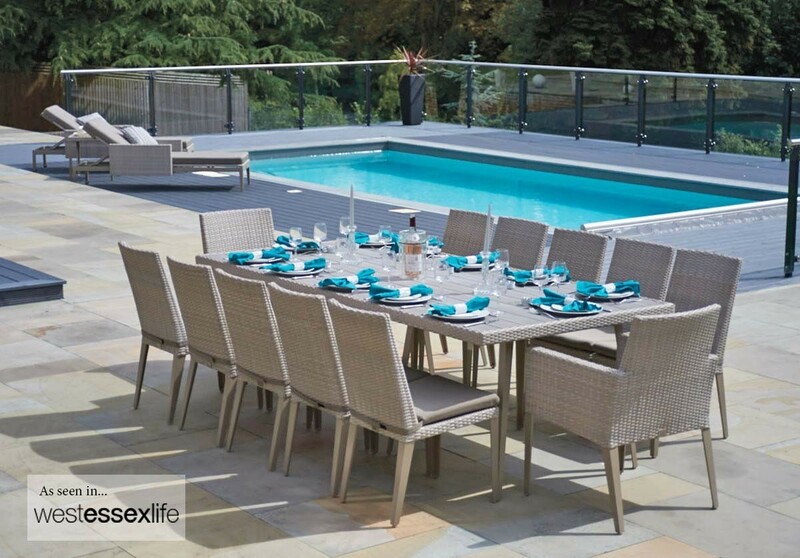 This stunning Hampstead garden dining set will help you host the perfect garden party. 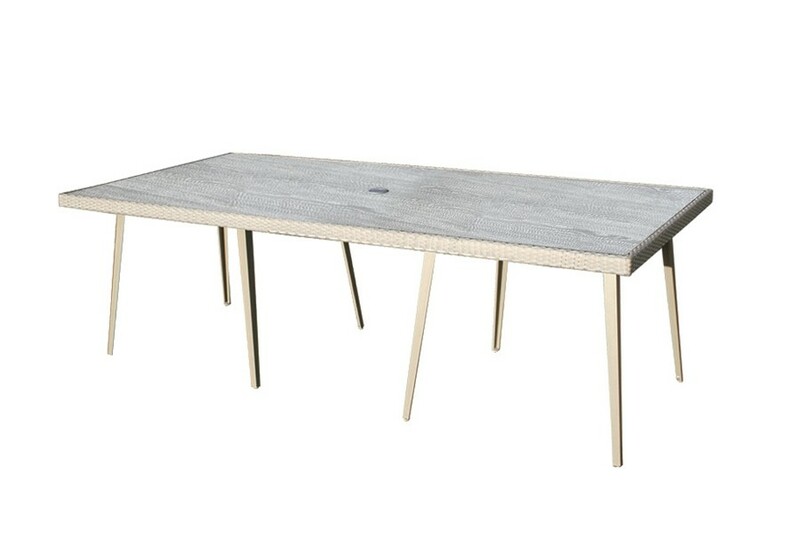 The 240cm rectangular dining table provides ample space for up to twelve guests to sit comfortably and enjoy fabulous food in good company. As well as a large table, this set also includes two Hampstead dining armchairs and ten dining chairs, all completely weather resistant and maintenance free. 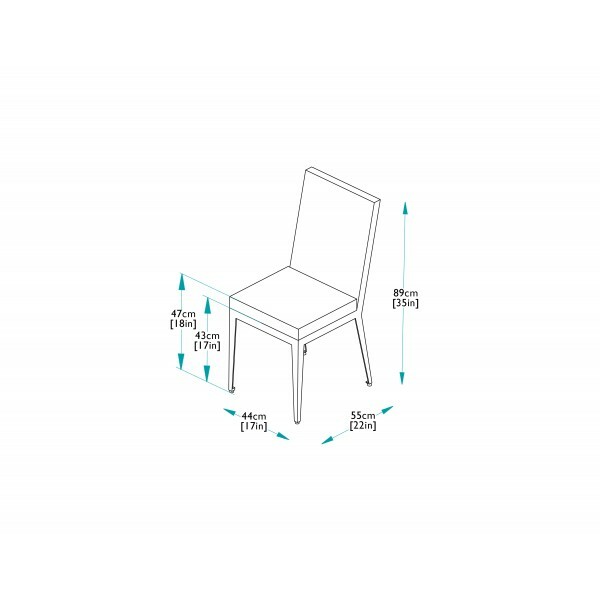 Whether you wish to dine on a patio, deck or on the grass, you can reduce the risk of wobble with the adjustable, powder coated aluminium legs. 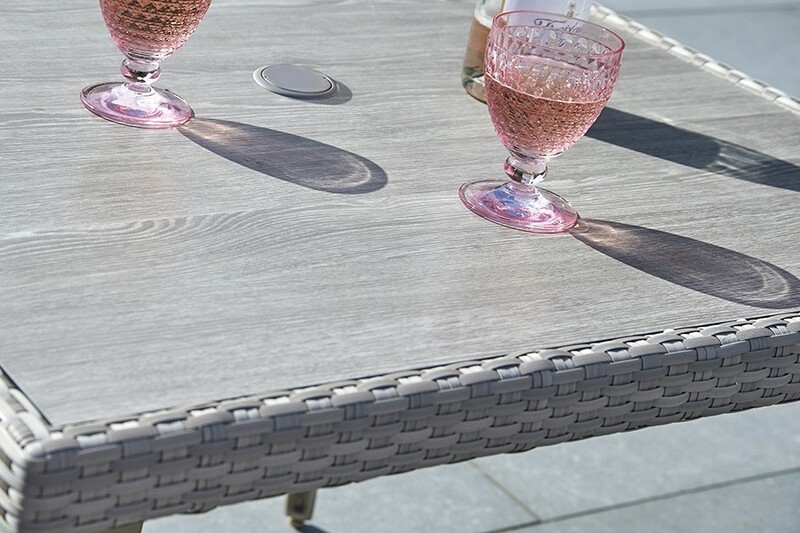 The standard tabletop is made from a composite material that showcases a stunning wood effect that is lightweight and highly durable. 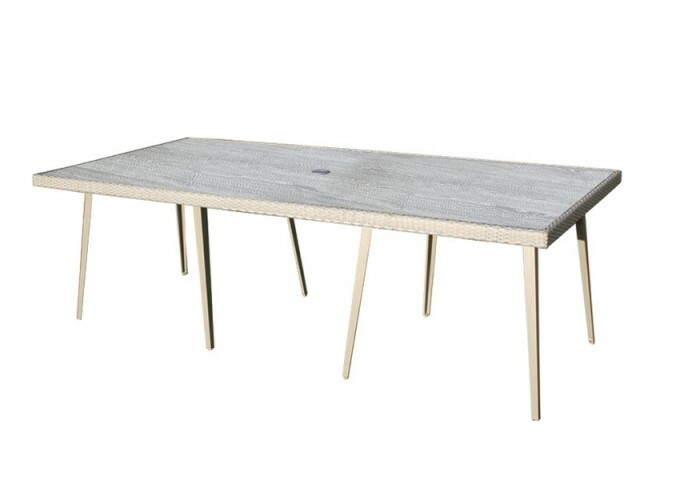  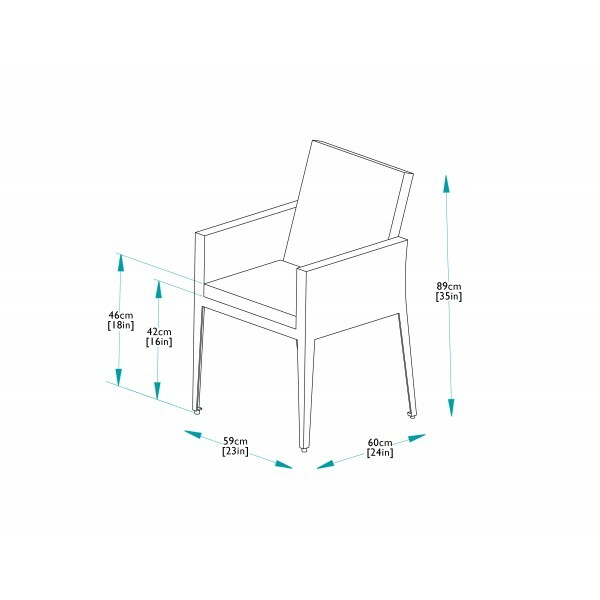 Alternatively the table can be supplied with a high pressure laminate (HPL) top, which is even more robust and particularly suited to heavy use. 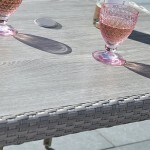 For when the sun begins to shine there is a hole with removable plug, designed for a parasol. 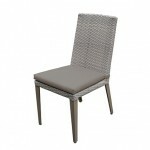 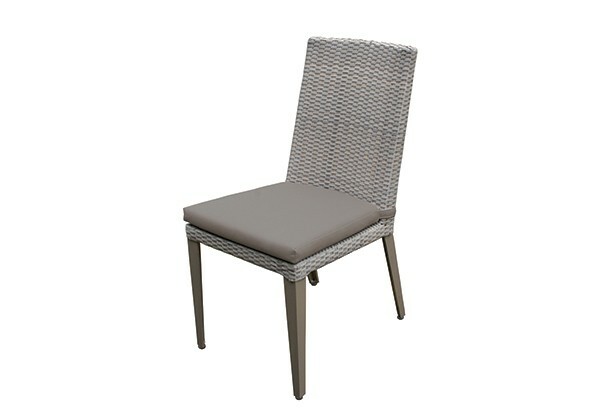 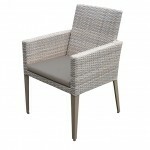 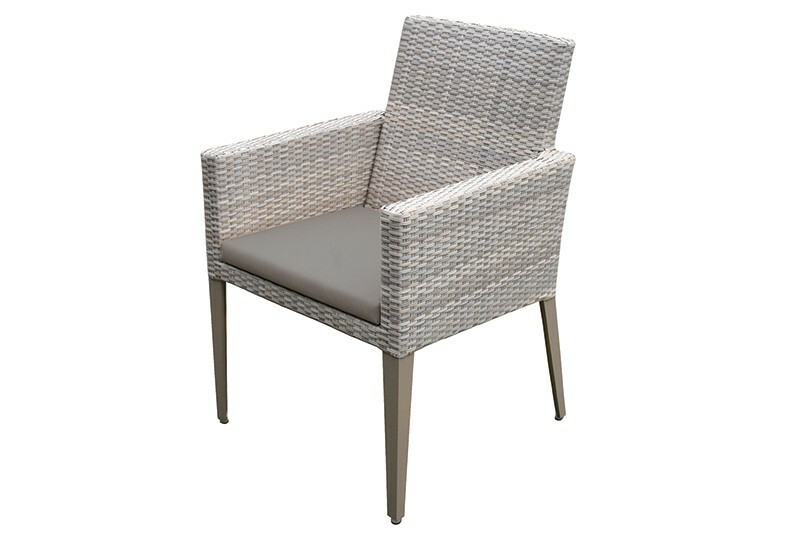 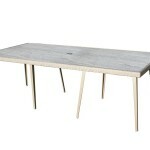 The Hampstead dining chairs mirror the modern styling with matching aluminium frames and stone-grey, rattan weave. 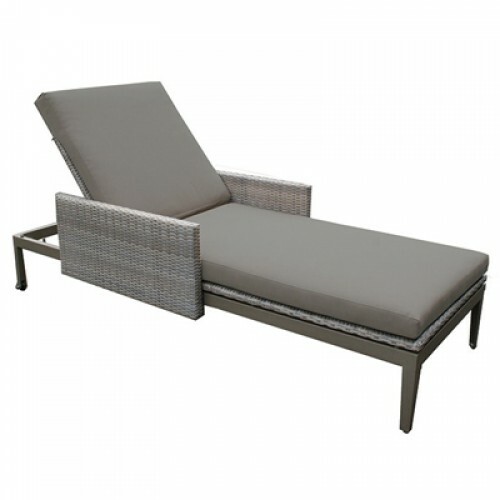 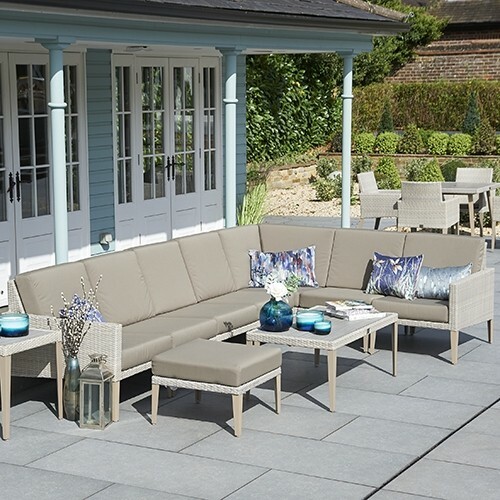 You guests are sure to be sitting comfortably with the padded, waterproof cushions that are included with this set. 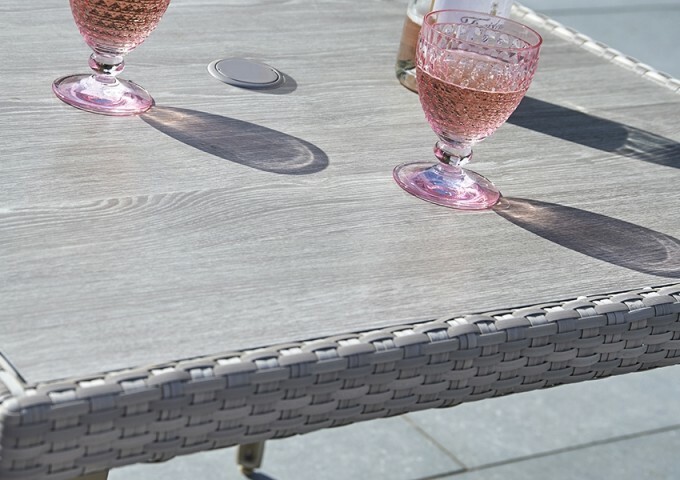 Once you have your dining space covered, why not browse the full Hampstead collection for a host of coordinating items to enrich outdoor living.